have you heard? they re-casted some of the actors (like Jesse McCartney) because of the racial issue??? another zuko picture...HE DOES NOT LOOK LIKE ZUZU AT ALL!!! where's the scar?! the clothes def. needs a do-over! black is DEF. OUT! for the fire nation!!! slum boy is a good actor, but a bad zuko, hmmm ive got an idea, DANTE BASCO! hes zuko;s voice AND he's asian! WHAT MORE COULD YOU WANT?!? AvatarRafael wrote: slum boy is a good actor, but a bad zuko, hmmm ive got an idea, DANTE BASCO! hes zuko;s voice AND he's asian! WHAT MORE COULD YOU WANT?!? dante basco rocks! if he work out and buff up his body more...he'll be the PERFECT zuko! And he's even acted in movies before... When he was younger wasn't he in hook? 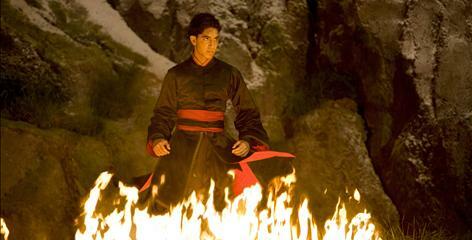 i am still unhappy that the fire nation is wearing black!!! zuzu looks better in red!! The teaser trailer for "The Last Airbender" will be shown on Entertainment Tonight on Monday night!!! Meh... this far in production, I doubt there's any chance of changing the cast for the movie. To tell the truth, I don't care as long as the movie is good. True, I would have liked to see them cast actors whose ethnicity matched that of the characters from Avatar: TLA, but it can still turn out well. What's the point? Creating awareness? Hollywood is all about making money, talent is money. To Paramount, casting Asians = less money (unless it's Jackie Chan ) No matter, how many campaigns they make, they will not recast, unless the movie flopped. But now that this issue seems to have made the movie even more famous. I say, what's done is done, get on with our lives and threaten them with a hatchet when they cast the next movie. 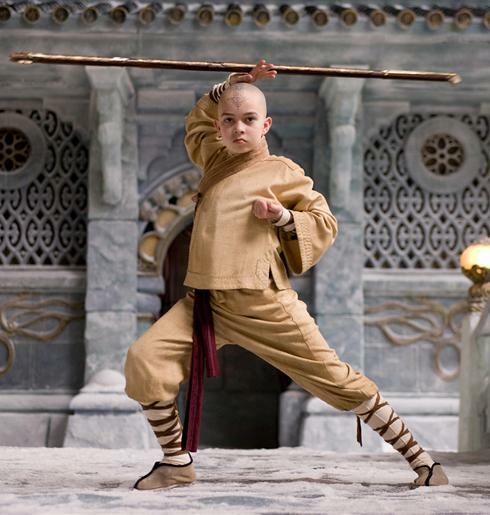 THE LAST AIRBENDER OFFICAL WEBSITE!!! I thought there were all suppose to be Chinese, I mean zuko and Aang both look Chinese in the show. I mean I understand is Katara is played by an Indian actress, but the rest?